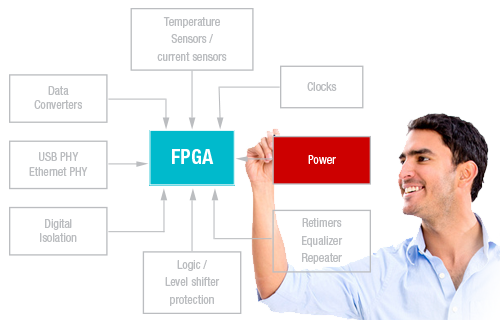 Xilinx FPGA products represent a breakthrough in programmable system integration. The portfolio’s diversity allows you to select from an array of innovative solutions in an effort to meet your unique system needs. Utilize the tools below to find your power supply solution for the following FPGA families: Kintex® UltraScale™, Virtex® UltraScale™, Virtex®-7, Kintex®-7, Artix®-7, Spartan®-6, Zynq® Ultrascale+™ MPSoC, the Zynq®-7000 Extensible Processing Platform (EPP), and more.